Our Patent Pending Vortex® Screw allows for a shorter mixing duration saving you time, fuel, and money! 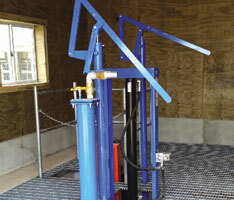 Available on all 1200, 2400 II, and 3600 II Series Vertical Mixers. 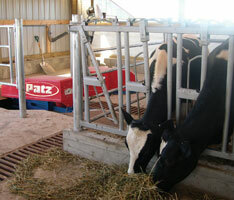 Featuring a multi-angle top and cupped flighting, the Vortex®* Screw mixes quickly without compromising feed quality! Our Patent Pending Multi-Angle Top Vortex® Screw and patented baffle design quickly and gently directs all feed ingredients around the screw(s) producing a thorough, consistent, quality ration, regardless of batch size. 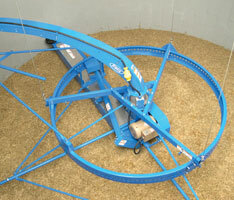 The palatable, well-blended TMR produced minimizes sorting – this reduces refusals and feed waste! Feed is pulled away from the bottom of the mixer walls by the specially designed Vortex®* Screw. 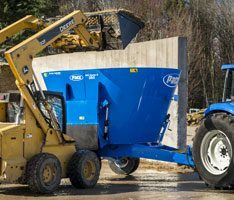 The cupped flighting allows more feed to stay on the screw while it rapidly lifts the feed, allowing more material to fall. The continuous lifting and falling action creates a boiling effect, resulting in a thoroughly blended mixture within minutes! Check out the video below to see how the Vortex®* Screw compares to our original mixer screw! Want to save even more mixing time? Our Patent Pending RAPTOR™ knives are engineered for faster, more aggressive bale cutting! The RAPTOR™ knife processes large round and square hay bales and baleage with ease! Affordably priced and built to last, our RAPTOR™ knives fit Patz Vertical Mixers with capacities from 270-1,580 cubic feet. Our optional RAPTOR™ knives are designed to complement our standard mixer knives, and should be installed in the top two or three slots on the Vortex®* Screw. Three knife sizes are available. 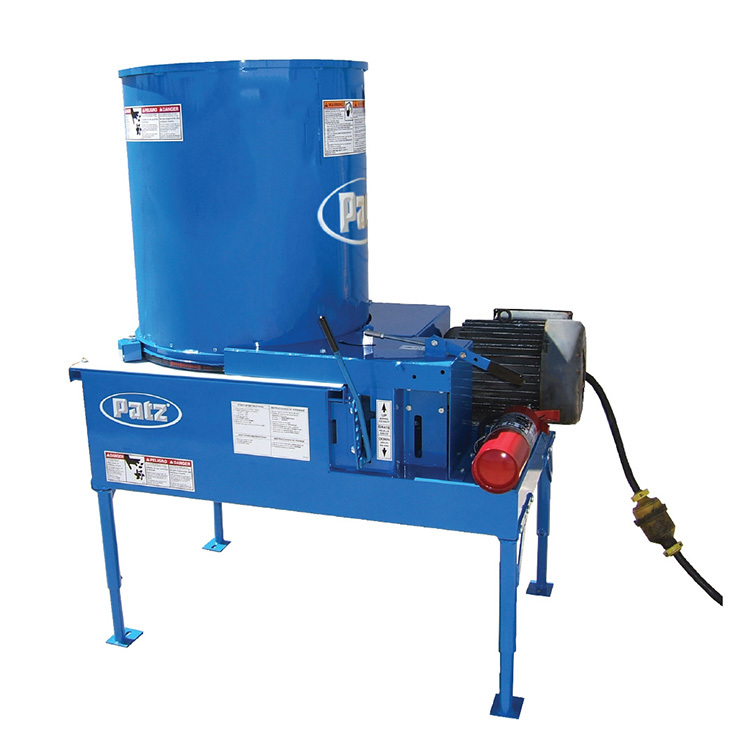 Contact your local Patz Mixer Dealer for additional details. Check out what our satisfied customers are saying! Esta entrada fue posteada en Sin categorizar y taggeada Vortex™ Screw @es. Guarda el Enlace permanente.